DON’T buy that new computer without reading? look at a price range they are willing to spend and if it looks in fashion without actually knowing what their buying, they have no idea how their new computer will perform for them. need plus more than they will ever use, at a price tag five times more than was needed to be spent. 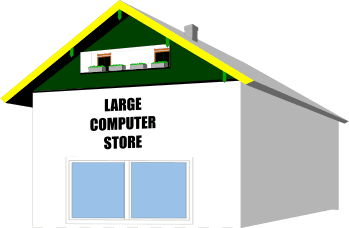 In general (not all cases) store advisers are just sales people with little or no training about the real world application and hardware the customer would need to use the unit for. well, and in most cases may be needed and the correct advise however the main issue is how much professional knowledge they have on all the software out there that may be better for the customer’s situation. Most of these large store advisers are again only trained on the products they sell in-store. They cannot be non-bias on what they offer for the current situation. Don’t we sell certain products and brands of hardware and software too? We would agree with you, we do, but we are also independent and can buy and sell any products and brands. Yes, we are partners with some of the best companies and with that we will offer the best product and advice for these with all the backup support too. 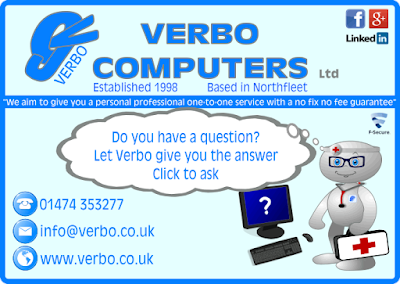 When we advise on brands and products we make sure at Verbo Computers we sell you a solution that works for you whatever your requirements. We will listen to what you need it for and we would give suggestions of other tasks you could use it for too. Time and time again we have seen the pitfalls of customers that come into us after buying in a large store and wishing they had not been so hasty with their impulse buy. If our customers are not fully happy we do not give up until they are. Verbo Computers are only happy with 110% customer satisfaction, this is our goal every time for every sale. 1. List every task you use on your current unit and check you can do this on the new unit. 2. List all current hardware and make sure it will work with the new units, you could have unexpected cost otherwise. 3. What current software do you still what to run, do you want or need the latest software? 4. Do you have your current software to reinstall along with product keys? 5. Is your current software legal to install on to a new machine? 6. Do you need a new monitor with the computer or is you current one ok? 7. Which operation system do you have at present, do you have to change to a more current operating system? 8. Do you want a laptop or desktop? So before you impulse buy come chat with us. Get a no obligation quote with no pressure to buy. We have even been known to advise where to buy if we can’t match on price but remember we give you an after support service. How can you afford not to talk to us first? Thank you Adam. Hope it all made sense. can I ask what you like about it the most?